Professional, Thorough House Cleaning... Maid Affordable! 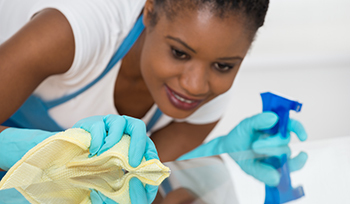 Whether you’re looking for a weekly cleaning company or a one-time cleaning service, our company offers customized cleaning solutions to fit both your needs and your budget. Professional cleaning services are more affordable than you might think. See for yourself and schedule your free estimate now! Serving Bucks, Chester, Delaware & Montgomery Counties in PA and Wilmington, Greenville, Hockessin & Claymont in DE. Whether you need a single room or area taken care of or the entire establishment, our cleaning professionals will get the job done to your complete satisfaction. 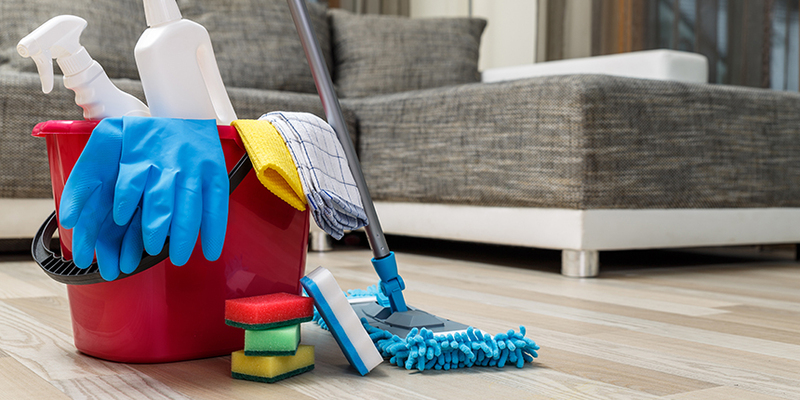 We also offer routine cleaning services based around your schedule and cleaning needs. With flexible scheduling, we can visit daily, weekly, or whenever you need a helping hand. Moving can be a hassle. Let our experienced team of cleaners make the move as easy as possible and leave the cleaning to them. Coming back to a beautifully clean home is a warm and wonderful feeling. At Maids 4 Less, we offer thorough, professional, and trustworthy cleaning services throughout Bucks County, Chester County, Montgomery County and Delaware County at incredibly affordable rates. At our company, we make house cleaning affordable so that you can enjoy the wonderful feeling of walking into your freshly-cleaned abode without breaking the bank. We’ve always made it a point to go a step above the competition, making sure your place is always cleaned to your complete satisfaction, from top to bottom. While other cleaning companies in Bucks County might offer quality cleaning services, you’ll find that at our company, we offer more flexibility in both our scheduling and services so you get only the cleaning services you need, exactly when you need them. When choosing a cleaning company, make no mistake, licenses and insurance matter. They protect you, your family, and your belongings from damage while guarding you against any liability in the event of a work-related injury during your cleaning service. Our company is fully-licensed, insured, and bonded for the sake of our customers and our employees. As a local, family-owned and operated cleaning company that has been serving communities in Delaware County, Chester County, and the rest of the region for over 15 years, we are committed to hiring and training only respectful and trustworthy employees. Each of our employees goes through a thorough screening process before signing on with our company. They then go through extensive training to ensure the cleaning services they provide are up to our standards and always leave the customer 100% satisfied. As the region’s trusted cleaning company serving Bucks County, Chester County, Montgomery County, Delaware County and the surrounding areas, we offer a full range of cleaning services at prices that beat the competition. If you’re looking for an experienced cleaning company you can trust, for a price you can afford, contact us today. "I love coming home every Tuesday and seeing my house looking and smelling great, which is not always easy with 2 dogs, a cat, and 3 kids. And because it's always the same 2 ladies coming to clean each week, they know exactly how we like things. Thank you for all that you do." "You definitely exceeded our expectations from day one. And now, 3 years later, we are still thrilled by your consistency each and every cleaning. Nothing is ever overlooked. Well Done, Maids 4 Less!" "Without a doubt, the BEST cleaners we have ever had. We have used many other Maid Services in the past, but Maids 4 Less is the Best of the Bunch." "Maids 4 Less's customer service is top notch. Whenever I call to make a change or to request something special, Olivia is always very nice and accommodating. And their cleaning is GREAT, too." "I absolutely Love my cleaning ladies. They are always so polite and cheerful—and, WOW, can they clean. They clean circles around anyone I have ever used in the past." "Now I can spend time with my family, instead of constantly just cleaning up after them. Thank you." 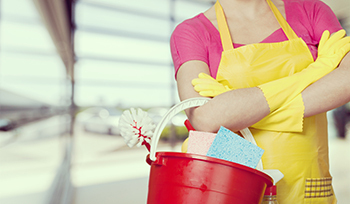 "Reliable, professional, detail-oriented: that sums up Maids 4 Less House Cleaning Service." "I have used a few cleaning companies over the years but none of them were as thorough as Maids 4 Less." "Everything is always cleaned so meticulously on each and every cleaning,consistently. I am so thankful I found you!" "The cleaners are just wonderful. My elderly mother lives with us and the cleaning girls are so patient with her. My mother now looks forward Thursdays, knowing that the cleaners are coming." "I just love the fact that everyone at Maids 4 Less Cleaning Services speaks English. I could never communicate with my old cleaners, but that is no longer a problem." 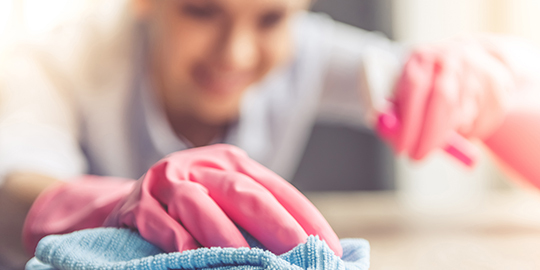 We understand that you might have a full schedule, which is why we offer incredibly flexible scheduling and cleaning service plans to fit around your life. Choose weekly, bi-weekly, or monthly cleaning plans, depending on your budget and cleaning needs, or select our one-time cleaning option when you need it most. Whether you need a regular maid service throughout the year or a single professional cleaning service to prepare for or clean up after a meaningful event, we have the trained staff to get the job done the right way, at rates you’ll love.